The game challenges players to survive in an asylum while uncovering its dark secrets. 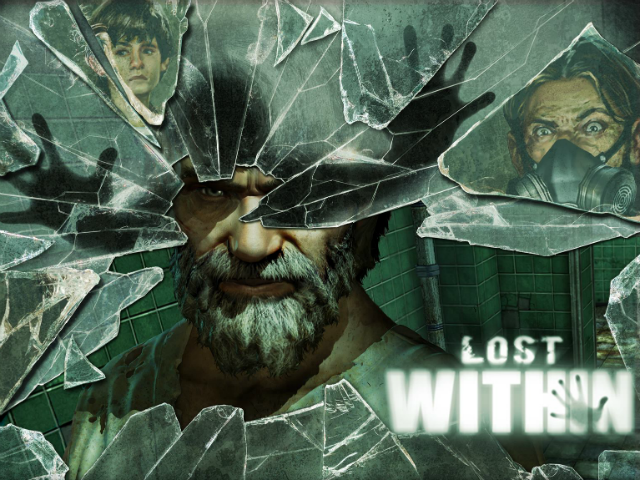 Proving that nothing positive ever comes from abandoned asylums, Amazon Game Studios has announced the launch of Lost Within on Amazon Fire and iOS devices. Developed by Human Head Studios, developer of Prey, the first-person survival game sees players investigating the halls of an apparently abandoned mental institution, set for demolition. As the game’s title suggests, players are quickly lost within its many corridors, and will uncover the asylum’s demented secrets as they search for a way out. Lost Within is split into several overall episodes, and introduces players to multiple main characters. For instance, the first episode follows a police officer, who uncovers details surrounding the horrible experiments performed by one of the asylum’s former doctors. The second focuses on a fire that swept through the property years before, and so on. The gameplay in each episode is similar, but players will investigate different areas as each story unfolds. Players have two control options: virtual joysticks for movement and camera control, or taps for movement and swipes for camera control. Players can switch between these at any time to find the setup most comfortable for them. Each environment contains glowing interactive elements, including backpacks and desk drawers, with many containing crafting materials for the game’s tools. Players quickly discover the asylum is anything but abandoned, and is populated by various “Inhabitants,” horrific versions of the asylum’s former patients. These tools are used to combat or avoid these Inhabitants in some way, depending on the gamer’s own play style. For instance, if players wish to take a stealth approach, boosts like Camouflage and Detect help them blend in with Inhabitants or see them through walls for a short time, respectively. If gamers are more interested in rapid advancement, Stun and Banish boosts, respectively, will slow Inhabitants down or eliminate them entirely. Players may find some of these items ready-made in the environment, but many are crafted. It’s worth noting some crafting materials are used for multiple items, so players must decide which items are most valuable to them. When all else fails, players can use their environment to survive. Lockers allow gamers to hide from some Inhabitants, while radios can be used to lure enemies to a particular location, clearing otherwise blocked pathways. A collectibles system sees gamers gathering old fragments of a large photograph, and dozens of old documents and journal entries can also be collected to reveal more of the asylum’s backstory. Lost Within is available to download for $6.99 on the iTunes App Store, as well as Amazon Fire tablets and Fire Phone devices. The game is rated 12+ for its mature content and horror themes.